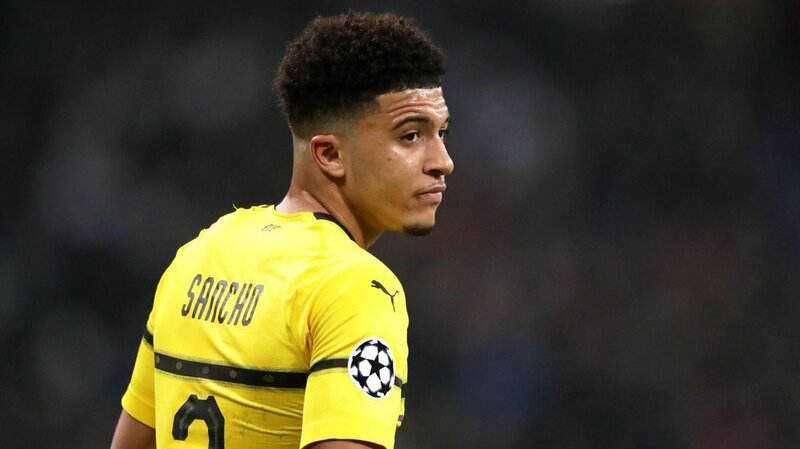 Borussia Dortmund winger Jadon Sancho has emerged as ‘top priority’ target for Manchester United ahead of the summer transfer window, according to reports in France. The Red Devils are said to be rebuilding their squad ahead of summer under new coach Ole Gunnar Solskjaer. One of the top priorities for the Norwegian boss is to land Jadon Sancho from Borussia Dortmund, according to The Independent, but the Premier League giants will have to shell out a whooping nine-figure amount, as well as further add-ons. However, it is reported that Real Madrid and Paris Saint-Germain are set to rival Manchester United for the 19-year-old midfielder’s signature. The 20-time English champions are believed to be confident of seeing off competition for the teenager, who has scored nine goals in 35 appearances in all competitions this season. The England international has been impressive in the Bundesliga this term, established himself as one of the most exciting young talents in Europe.